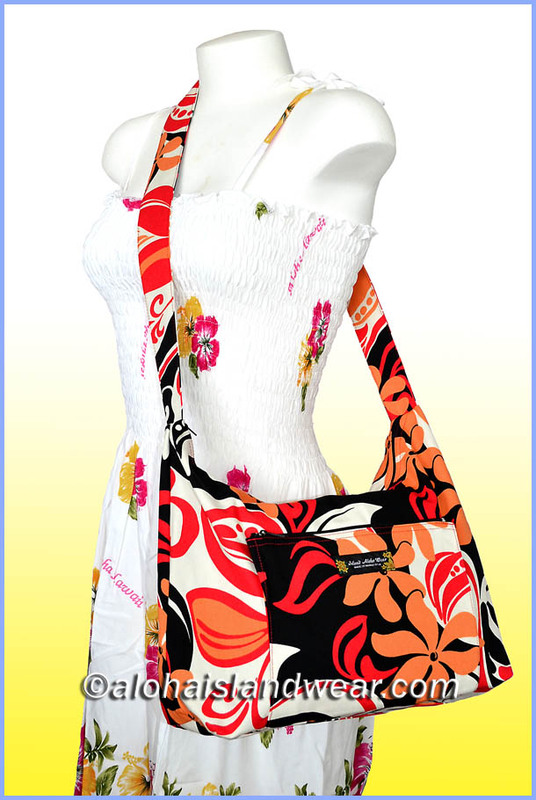 This is a daily use cross-body shoulder bag, it's designed with a single layer of Hawaiian floral print canvas material, the main compartment pocket has full zipper for closure, join with a durable matched print strap, one front pocket with zipper for holding small accessories, great carry bag for shipping, traveling, schooling, working or as gift to someone. - Strap drop 17" length. - Main zipper opening measured: 14"
- Exterior pocket: 8" X 6"
- Material: 100% canvas and washable. 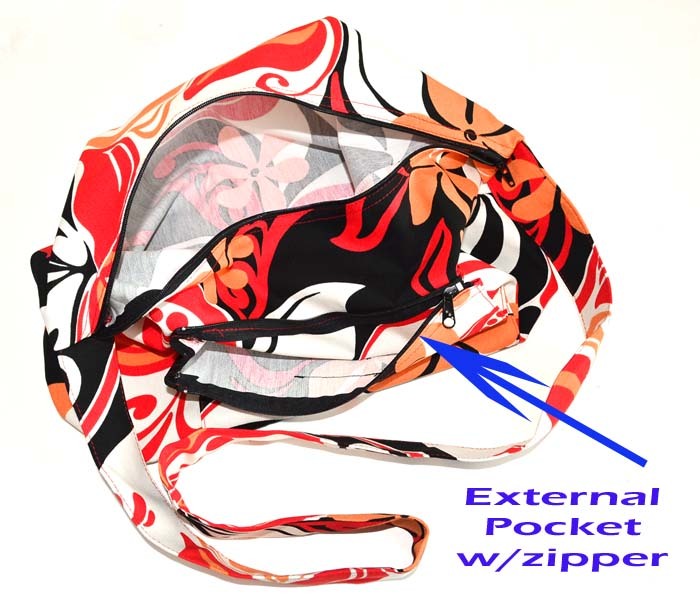 Please note: due to the pattern were cut from random position of the fabric, the print laid out position of each bag is not look exactly same as the photo shown on this page.